A nice relaxing area to practice and better your game. 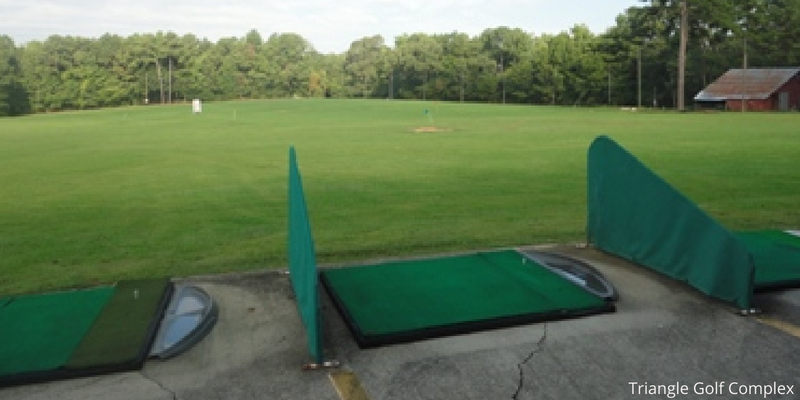 Triangle offers over 30 practice bays with over 250+ yards of driving distance. There are always putting, chipping and sand areas to help improve your game all around. They have the perfect practice times for almost anyone because they are open until midnight. 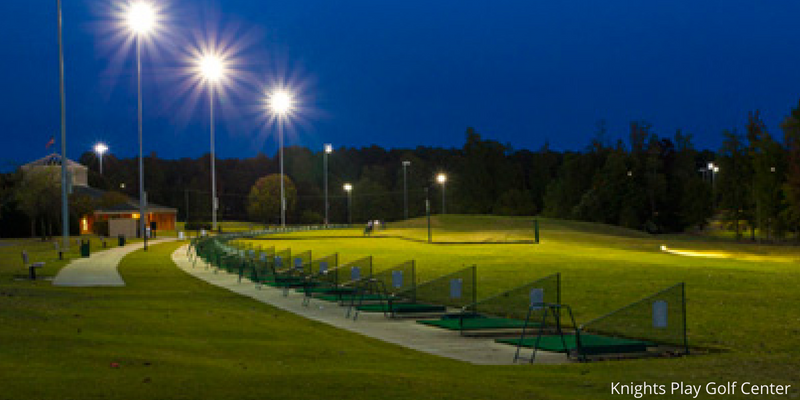 Knights offers a lighted driving range with 60 bays with both grass and mats. They also offer range cards with a $70-$130 value. Another fun thing about this range is you can get a bucket of balls, sandwich and a drink all for $9 from 11-3 Monday-Friday. This range has one of the friendliest staffs and offers a full range of amenities. They are open year round with 30 artificial turf mats and also a 1 acre Bermuda grass tee. It is lighted for night practice and has a short game area for practicing tricky shots.